I'm friends with The Roger Smith Hotel. If you've ever stayed there -- and love social media, like I do -- you'd understand why. First, the privately owned boutique hotel in New York is a magnet for online influencers -- among others, Chris Brogan and iJustine stay there while visiting the Big Apple and Gary Vaynerchuk has hosted private events in RSH's space. Second, and most importantly, the hotel is truly social media focused. There's a content heavy blog Roger Smith Life and Twitter feed @RSHotel with more than 10,000 followers. 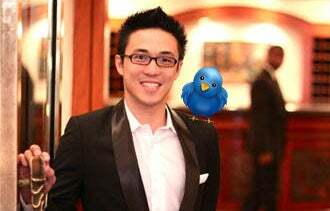 @RSHotel and I began following each other on Twitter about one year ago. During a recent last minute visit, I couldn't find a reasonably-priced hotel to book online and so I direct messaged my friend -- the Roger Smith Hotel, that is. After a quick response, not only did I book a room, I got a 10 percent discount, which the hotel refers to as its "social media rate." @StarwoodBuzz: With over 35,000 followers, Starwood Hotels and Resorts oversee the W Hotels empire, which consists of 41 hotels and retreats. Through Twitter and Facebook, the hotel is able to respond to complaints and inform guest services. Each local W Hotel also has its own Twitter account, and is great at engaging influencers through events like Foursquare scavenger hunts. Further, Starwood is transparent -- allowing guests to post honest reviews directly on the site à la tripadvisor.com. @Cosmopolitan_LV: Besides hosting Jay Z's exclusive celeb-filled New Year's Eve 2011 party, The Cosmopolitan of Las Vegas is known for providing social-media-lites good rates and VIP treatment. According to one hotel guest, the hotel will not only promote their own content but retweet guest posts. And social media using guests are privy to can't miss events, as well as deals, contests and ticket offers for Las Vegas shows. @Colonnade: Through its Twitter handle, The Colonnade Hotel in Boston shares travel tips, news about nearby events and information on local weather and attractions. The social media staff also offers customer service and help as a concierge service for guests. "The social channel has so much more potential when more hotel departments embrace the efforts and get involved," Colonnade's marketing chief Christopher Lynn says. "In the end, it's about connecting with people." @Kimpton: Having one of the largest chains of boutique hotels in the U.S. doesn't deter the Kimpton Hotel & Restaurant Group from connecting one-on-one with guests. With over 42,000 Facebook likes, the company posts and replies through social media consistently -- providing updates about events happening at or near its hotels. @hardrocksd: With nearly 11,000 Twitter followers and more than 13,000 Facebook likes, Hard Rock San Diego Hotel regularly engages with guests when problems arise and when information is requested. The hotel also likes to surprise guests. By reviewing guests' past tweets, the Hard Rock may send up personalized amenities in response to guests' proclivities, says hotel spokeswoman Rana Kay. The hotel also shares information on music, upcoming shows, travel tips, trends and even celebrity sightings, she adds.